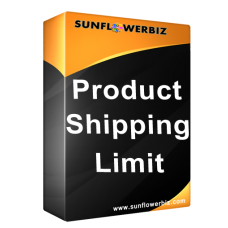 The SunflowerBiz Product shipping Limit Module allows you to select different shipping method for each product. You can select a different shipping method for each product on the product management page from all existing shipping methods. Most importantly, we provide a solution to configure your shipping rules when customers purchase products with different shipping methods at the same time. Note: When you select shipping method for one product, "unselect all" is the same as "select all". It means all shipping methods are available for this product.